Calcutta is the location of one of the best national law schools in the country. Yes! we are talking about WBNUJS or West Bengal national university of juridical sciences. The placement of the college is such that it is close to a bus stop, an airport, and a railway station besides having a bank, a hospital, a police station, many hotels, malls and hotels in the vicinity. Now let us talk about what makes this college one of the very best in the legal field across the country. The first reason is that the local as well as guest faculty of this college are par excellence. The names of the local faculty are often seen on legal research papers of reputed journals and the guest faculty are from University of Sydney, University of London, National University of Singapore, Freiburg University among others. The second parameter to judge a law college is its library and in this case the library is actually worth a mention. Besides around 14000 titles you also get access to online databases such as Westlaw, Lexis Nexus, Manupatra and Grand Jurix which if used properly by a student can thoroughly prepare him for research work that can be expected from him when he starts working. And that is not all because there is also a complete set of Harvard Law Review, Yale law journal and Law Quarterly review. Third thing to look at is extracurricular. There is extracurricular events such as moots, essay writing, debates, and research papers. There is also a legal aid society which helps create legal awareness and helps poor people fight cases without getting drawn into a lengthy and expensive legal process. Then there is a cell for human rights and public education which educates people about their rights. The next cell is called youth for social justice and identifies with the youth who if given a chance are forever wanting to do something for the betterment of the society. Then there is law enforcement assistance cell which works with the govt. and authorities such as the pollution control board. Its aim is also to spread awareness. Then comes paralegal services and training. Their main area of activity is partnering with agencies that work with NGOs. The last one is Lok Adalat and ADR assistance which organizes Lok adalats in collaboration with the West Bengal Legal aid authority. There are other non law related activities such as for those who are interested in sports and physical fitness there is a gym, an AC recreation room for indoor games and no we are not forgetting outdoor games. For that there are Sports Authority of India's very own playgrounds and training centres which have been opened up for NUJS students. I would definitely like to mention the two great fests organized by NUJS which are Outlawed and Invicta. The sports aficionados at NUJS leave no stone unturned in organizing the super successful sports fest Invicta. While this is just sports the other fest Outlawed is a combination of dancing, music, arts and theatre. This fest sees the coming together of artists of the likes of Junkyard groove, and Agnee. The atmosphere at these fests is simply electrical. Last of all NUJS prepares its students in a way that they win international scholarships of Rhodes, Felix and Chevening for higher studies. Plus it is not an exaggeration that the students get placed at par with their fellow mates in the very best law universities across India. On a closing note I would like to state that NUJS is one college which truly deserves to be in the list of top 10 law schools in the country. 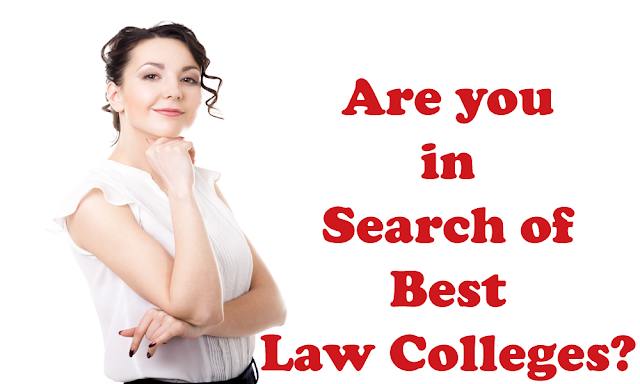 Check the list of top law colleges in Kolkata.